Home/Success in Business/Which Business Model is Right For You? I think a growing number of people want to start their own business. Why? Because people are tired of being tied to a job that is draining the life out of them. Also, they don’t want to be told when, where, and how to live. We see people come to our coaching programs every day that are in the same place we were over 11 years ago. I decided that I wanted to raise my daughter and not put her in childcare. If I were going to stay in the corporate world, I would have had no other choice than to do that. Starting a business was hands down the best decision Brian and I ever made for our family. We have a passion to help others make the same choice and be successful. Today, I want to give you a free lesson from our Freedom-Preneur Academy. Drew Innes shares in this lesson about the 4 different business models you can choose from. In the Freedom-preneur movement, it is our goal to help you develop strategies that help you to align with your goals and reach a life that you love. That is why it is so important that you have a good understanding of the different types of business models there are. Of course, this is a very small list of things that make up products and services. I wanted to make the distinction here that this is a bit different than a brick and mortar business model, because these are jobs where you meet the customer where they are. Becoming an online affiliate and/or blogger is one of the easiest ways for someone to get started in making money online. It doesn’t require you to have your own products or services to start with. All you will need to do is promote another brand and get paid a percentage of the sales. For example, if you become a lifetime member of the Freedom-Preneur Academy, you can become an affiliate with us. Through our affiliate program, you can share information about our coaching services, and if someone makes a purchase, we will give you a large commission for it. There are some people that sign up as an affiliate for a product and spend all of their focus on selling that product or service. They will develop leadpages, web content, opt-ins, and so on to educate potential buyers about what they are selling. Another great way to be successful in affiliate sales is to develop a blog. This is where you write about your passions and the things that resonate most with you. Then, you find affiliate programs that are in line with your brand messaging and promote it with your audience. This is another form of affiliate marketing. 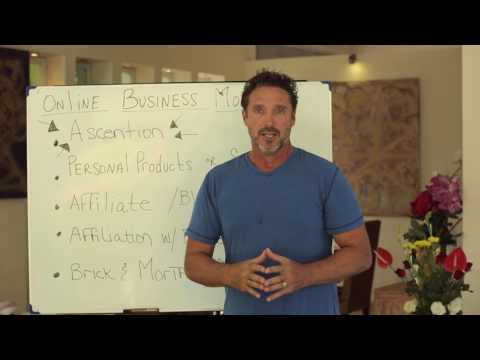 The top two forms of affiliation with business are multi-level marketing and direct sales. Basically, you will become an ambassador for a company and sell their products for them. Part of that business model means you bring in others to the company so that they will sell. You will make commission from your sales and their sales, also. We have an association called the Online Alliance in the Freedom-Preneur Academy that falls under this category. If that is something you would be interested in, be sure to contact me so that I can get you the information you need. I’m sure you know what a brick and mortar business is, because you likely shop in these on a regular basis. This is where a business owner sets up a location to do their business and the customer comes to them. They also have the ability to send their products and services outside of the location. Here’s one thing to consider, gone are the days where a small business owner has to stay local. You can take some of your services and products, depending on your industry, and make it global. If you don’t have a position on the internet, you are doing a disservice to your customers. This goes for brick and mortar business just as much as the other business models. You need to be where your potential customers are hanging out. Ascensions is when you Increase customer value so that you can offer more of what people need and want. You can look at many business today and see where there is lost opportunity, because the owners are not maximizing what they offer. If you don’t understand the role ascension plays, it can cripple your business. When you stop meeting the needs of your customers, you will lose them. Look at your business and understand what products and services you have today that solve your customers’ problems. As you learn more about them, you will be able to develop more products and services that they need. Another thing to ask yourself is how to bundle things in a different way to meet more needs. Take existing services and products you own and place them into different groups to target parts of your audience. What Business Model is Right For You? You may already have the business model that is right for you figured out. Or, you may be like many of the people that come to us. They know they want to be in business for themselves, but they have no idea what to do. When you sign up for the Freedom-preneur Academy, we give you all of the tools you need to take your next steps in earning an income on your terms. We also provide you with coaching calls where you can ask questions and we provide you with the feedback that you need. To learn more about the programs we offer, be sure to visit the link below.